Now the countdown to Eurovision enters its most exciting part… yes, it’s now just one week away from the first of the semi finals. Naturally, SBS’ Aussie broadcast will hit our screens a few days later. 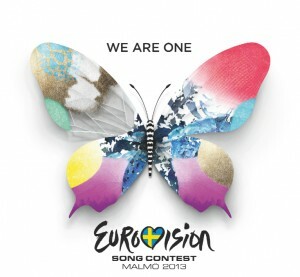 Entrants from 39 countries across the continent will take to the stage throughout the competition in the hope of taking out the most coveted yearly prize in music – the Eurovision Song Contest trophy. As always, the competition is split into three finals; the two semi finals (to be held on May 14 and 16) and the grand final (on May 18), in which the victorious countries from the two semi-finals will line up alongside the host nation Sweden and the “big five” of the UK, France, Germany, Italy and Spain. This is part 33 of 39 in our look at each of the Eurovision entrants in the lead-up to this year’s concert. If the couple hitting the stage for Bulgaria in the second semi final this year look a little familiar (perhaps vaguely familiar), it’s because we’ve seen them at Eurovision before. Elitsa and Stoyan represented their country at Eurovision back in 2007, placing fifth to eventual winner Marija Šerifović from Serbia (the year after Lordi; the year before Dima Bilan). However, they only made it through this year after the winning song was disqualified over copyright concerns. ‘Samo Shampioni’ (‘Only Champions’) is heavy on the percussion (which could make for an entertaining stage presence), but light on when it comes to the key change and a little repetitive. We’re not sure we’ll be seeing Bulgaria in the Grand Final on May 18.